The Coming Soon Christian t-shirt celebrates that Jesus is coming back soon. 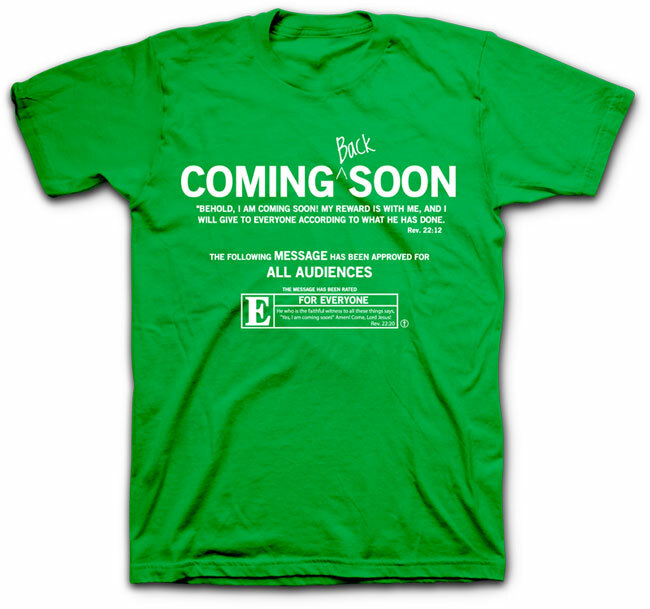 This green t-shirt is based on Revelation 21:12 "Behold, I am coming soon! My reward is with me, and I will give it to everyone according to what he has done".